Discussion in 'Bitcoin Investments | Discussions' started by leisurecyb, Aug 25, 2018. As we all know crypto currency has evolved since the 2008 and many of the non-legit. fake and non trusting sites have also emerged in the claim of mining crypto currencies and giving individuals free crypto. Especially bitcoins. Truth is there is no FREE bitcoins. you have to work for it by mining. Doing online work and get paid in bitcoins. If not INVEST in what we call cloud mining. At first I was so skeptical, so afraid but then again so reserved to even listen, understand and open my eyes to the reality and opportunities right before my eyes. I remember a few days i posted about this two companies which I will post my personal testimony in graphics form and links to other peoples testimonials on a site called netbusinessrating.com (rates how genuine online businesses are). Somebody claimed its trash. I told him it's not and gave him the two links to the company sites and rating sites to confirm and oppose his opinion. I will say this to you again if you are reading this. KINDLY HAVE A SECOND LOOK AT THE ATTACHED IMAGES OF MY PERSONAL CONFIRMED PAYMENTS FROM THE SAID COMPANIES. I talk about AWS Mining [Mining Bitcoins with AWS Mining] a cloud mining platform where people join in to INVEST what they can in pooling resources to fund and mine Crypto currency and get paid in BITCOINS. As we all know the days of mining Bitcoins and Altcoins using desktop computers are long gone due to their complexity. Now we are in an era where mining requires a lot more complex and heavy processing machines and power to do the job which is very expensive for an individual person. But what about, a pool of Investors? is it? I doubt that and this is where AWS Mining Comes in. AWS Mining is Fully transparent from first day on - upon transfer of payment completed your mining account starts to mine for you. There is a TELEGRAM Group in place as well as a Facebook account where you can see real mining equipment (f.e. in Paraguay and China) - very interesting announcement from founder and CEO on Facebook and Telegram (t.me/teamnova_aws) and very active community and support to answer any questions you might have. I also talked about Cripton-bit which was established in Belize in 2016 with offices in Hong Kong and now begins its activities in 2018. It combines the vast financial market knowledge with the developed high technology of cripton algorithms, the company is able to pick up best trades and make daily profits that few companies in the industry can. Cripton-bit is composed of traders or financial technicians and programmers in the area of developing bots for purposes of trading in the financial markets. With products such as robot trading and arbitration, the company achieves a mission of bringing people access to new financial market trends in a practical, safe and profitable way, becoming a benchmark in this segment and For an investor willing to invest into a profitable venture, earning 2.5% of investment or more on a daily basis, it is simple and practical. COMPANY No. 1 : Register on AWS Mining for free, here https://bit.ly/2LsfRYZ , then, according to your FINANCIAL CAPABILITIES, Purchase what we call Crypto Mining Power-CMP (let say it is like paying the electricity power used by the heavy processing machines in mining bitcoins). CMP is Payable in bitcoins and the best thing is that it starts from as low as $40. Once you purchase and invest, AWS Mining will mine your bitcoins and ensure your INVESTMENT pays you on a daily basis 24/7. 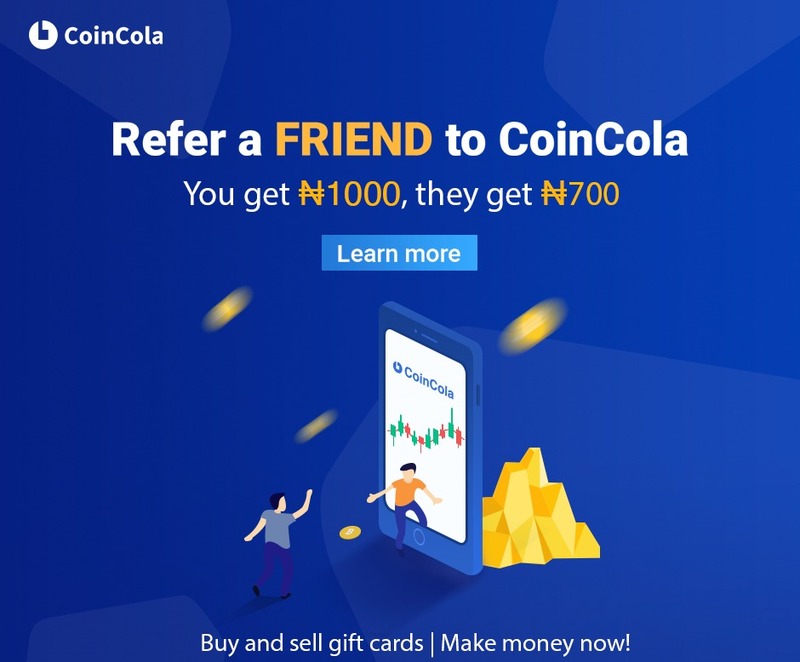 If you wish to refer a close friend of yours you are also not left out in getting rewarded. COMPANY No. 2 : Register on Criptonbit for free, here https://bit.ly/2JIppZY , then, according to your FINANCIAL CAPABILITIES again i insist, Purchase a package of your choice. Once you invest, Criptonbit will trade on cryptocurrency and take care that your INVESTMENT has the best yield on the market. Earning you 2.5% of your investment or more on a daily basis. I know some have registered in the companies and regards for taking the bold move and i hope you are all enjoying your yields. IMPORTANT: YOU NEED TO INVEST TO EARN. In Crypto as a whole, there is many ways you earn out of it. It is not free of charge and It is not a get rich quick scheme either. Nothing is free in this world you have to put something in it. Be it hardwork, Effort, Smart choices and decisions or Investments. But in everything you put in there is always something out of it. MAKE Your CHOICE. HERE are the links to NetBusinessRating where the two companies are rated. and other testimonies from other users. COMPANY No. 1 : Register on AWS Mining - Review of AWS Mining : Scam or legit ? COMPANY No. 2 : Register on Criptonbit - Review of Criptonbit : Scam or legit ? AND more to that I attach my testimony below.